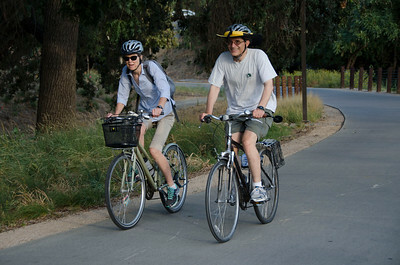 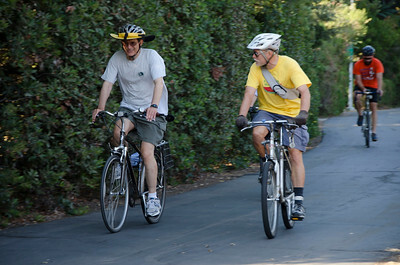 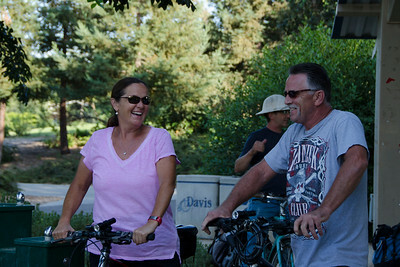 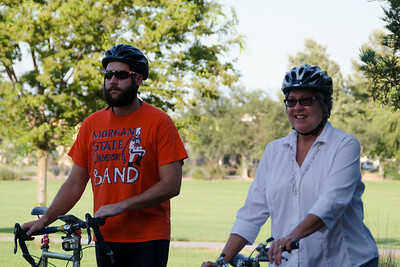 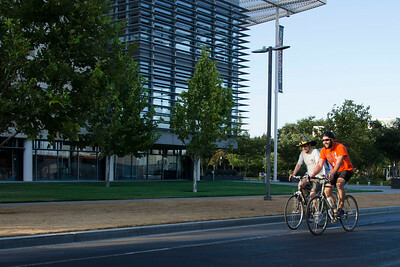 With collaborative support from the Davis Bike Club, Davis Bicycles! 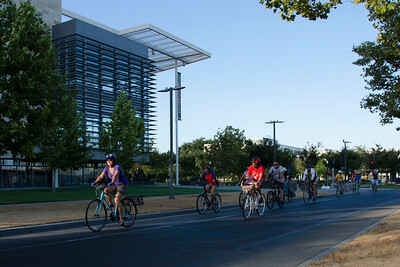 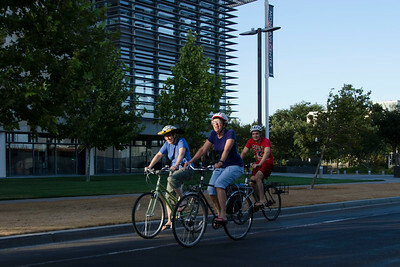 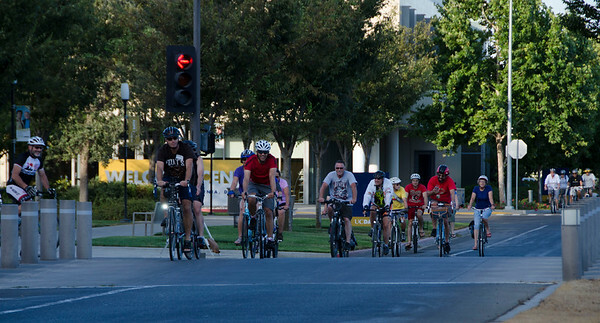 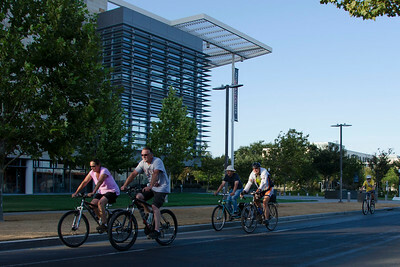 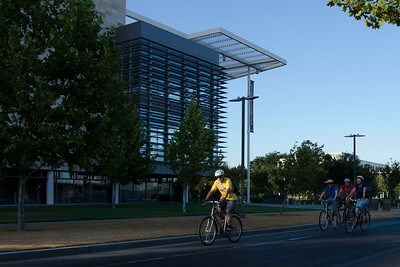 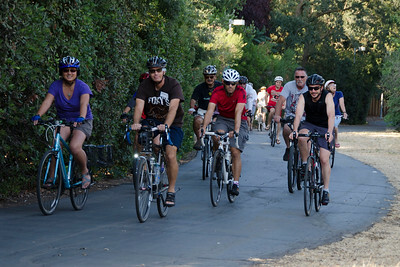 and the City of Davis, this first Davis Fun Ride was a success! 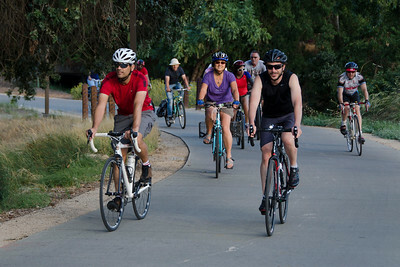 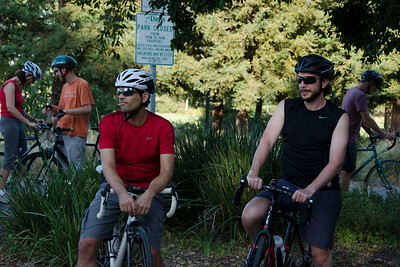 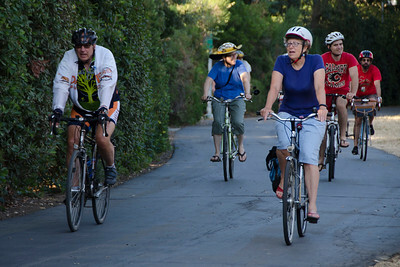 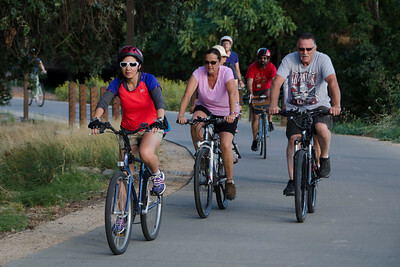 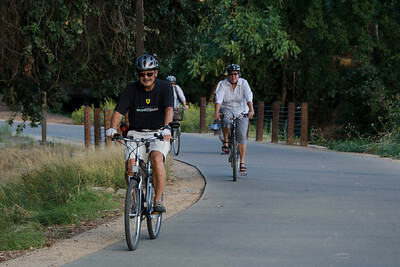 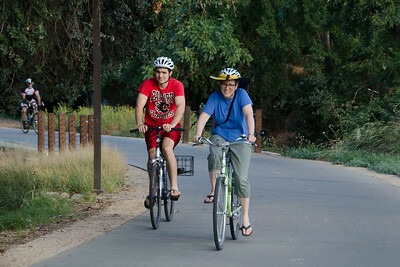 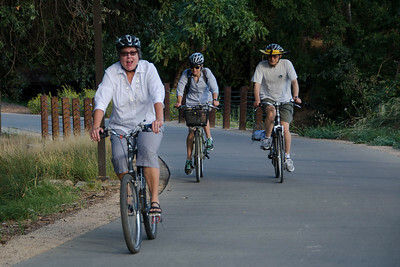 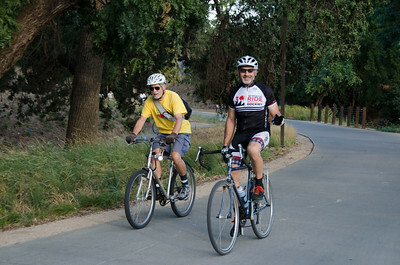 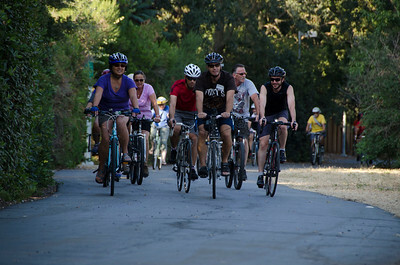 It started and ended at the Mace Ranch Picnic Shelter, and included two ride options which both explored the greenbelt bike paths in east and south Davis. 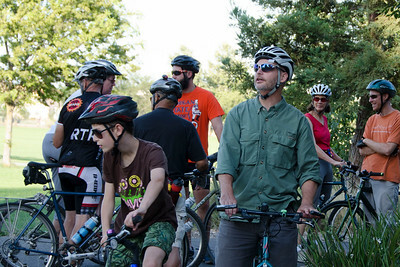 Assembling at the Mace Ranch Picnic Shelter. 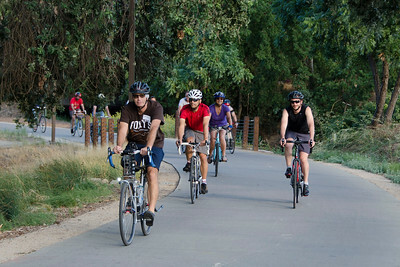 Along the South Davis greenbelt.